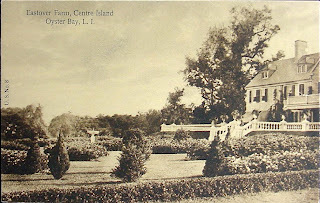 'Eastover', the Colgate Hoyt estate designed by Renwick, Aspinwall & Owen c. 1891 on Centre Island. Click HERE and HERE for more on 'Eastover'. was three times married; first to Abigail Curtis, then to Sarah Comstock and lastly to Ellen Purdy. New York Assembly in 1820. He married Mary Barnum, daughter of Gabriel Barnum, in 1802. American Baptist Home Missionary Society. His eldest son was the distinguished Reverend Dr.
was for many years pastor of the Strong Place Church, in Brooklyn. developed. He was also a director of the Union Pacific Railroad. organized the American Steel Barge Company, that built the first whaleback steamship. 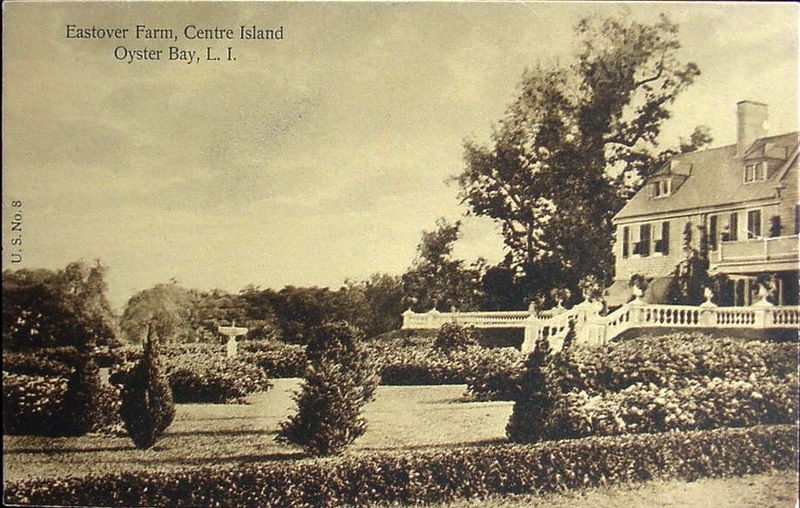 Avenue and his country home is Eastover Farm, Oyster Bay, Long Island. From Utica, NY origins to rail and barge holdings and then living in Oyster Bay, NY .. quite an interesting progression with the Hoyt family. Off topic (my apologies) but note the John Russel Pope designed (1916) manor house in Middletown NJ for Andrew V. Stout being auctioned June 12th. Snooki could be happy there. The June 2012 edition of AD has a twelve-page spread on a Dutchess County farmhouse Gil Shafer has designed for a Wall Street couple. It's the fifth project he's undertaken for them in the past seven years. Predictably, the house is spectacular. Is there a living architect who designs more perfect houses? I don't think so. "We now grow 50 varieties of heirloom tomatoes and other organic produce," the husband says, adding that Schafer is overseeing the development of a four-acre plantation of oak and hazelnut trees on the farm, for the cultivation of Burgundian truffles.